STOCK UP ON OUR MOST POPULAR JERKY...BUY 1 GET 2 FREE! All natural treat for dogs of all sizes! 100% sourced and made in the USA. Finally, there’s a healthy, yummy chicken jerky treat you can trust. 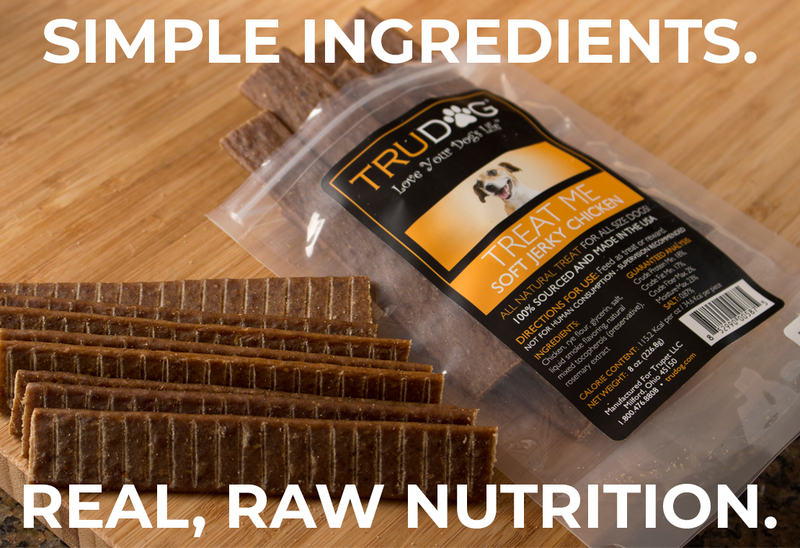 TREAT ME Soft Chicken Jerky is a natural, healthy treat dogs love. These soft, flexible strips are easily broken into small pieces for use as training treats when desired. JERKY PUPS JUST CAN'T RESIST! 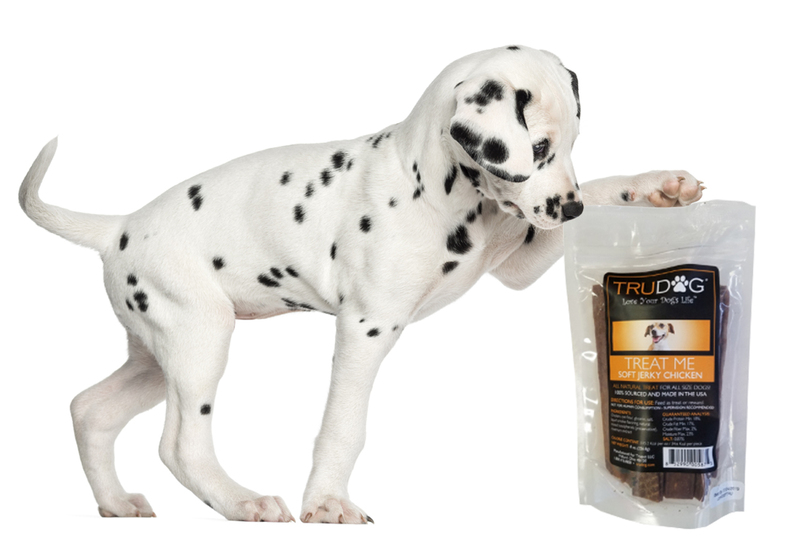 "My two dogs love these treats! One actually jumps up and down for them lol! (And He never does that) Thanks again truly for all you guys do for the fur-families!" "My little Yorkie, Wilson, truly enjoys this treat. Very glad I decided to purchase. He is a spoiled little senior dog, but precious." "Tucker loves this jerky and I LOVE that it's not greasy like some others we've tried." Give your dog the wholesome, healthy treat they'll beg for! 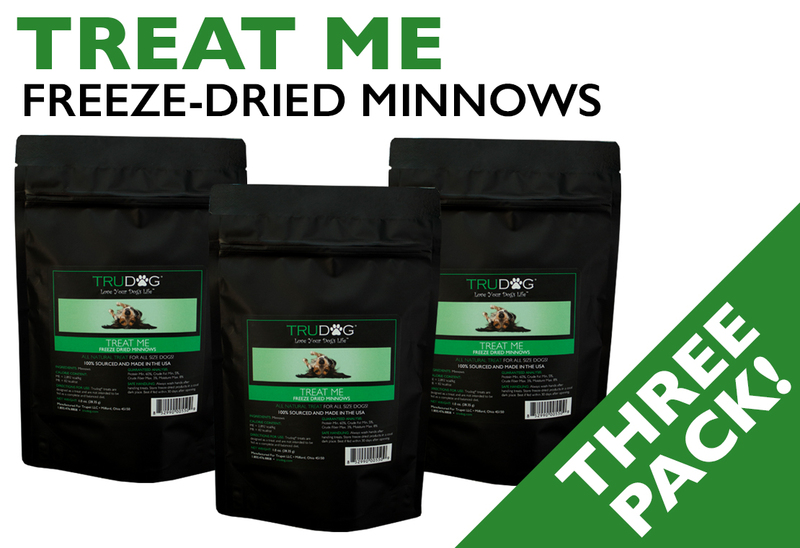 Give them TREAT ME freeze dried Minnow Treats for Dogs!